Introducing fast-rising Nigerian Afrobeat & Afro-Electro production duo - the BILDERBERG GROUP – with their MASSIVE debut single and party anthem “Big Life” featuring Nigerian/Jamaican singer Pinks Perez. The bass and synth heavy Afro-infused Electro dance tune complete with an infectious bassline and catchy hook sees Bilderberg Group in outstanding fashion - showcasing the production duo’s exceptional production style and dexterity with emerging African/Jamaican singer Perez riding the musical milieu rather brilliantly and adding her own unique flavour to the sure fire dance floor filler that is set to get you moving your body and vibezing as soon as you press play on “Big Life” – the party anthem for 2012. With plaudits and co-signs coming from international music stalwarths - Labrynth (Tinie Tempah), Wiley and Mayhem (S.A.S) among others, emerging Nigerian production duo the BILDERBERG GROUP - made up of brothers Bode and Toyin - are fast becoming a production force to be reckoned with. 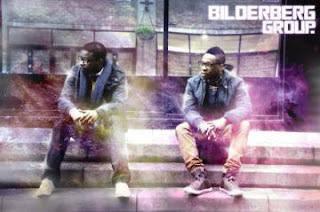 Currently working with the likes of Show Dem Camp and Alaye, 2012 promises to be the year of the BILDERBERG GROUP. What makes the BILDERBERG GROUP particularly eye/ear-catching is not only their ability to produce, remix (and mix) cross-genre hits, ranging from Urban and R&B to Dance, Electro and Pop, but also their ability to produce such hits in an original manner, breathing fresh life into the music they write and produce. Their forward thinking sound is urban and edgy with a strong mainstream appeal and with their attitude of "making cool pop that makes pop cool", it is no wonder why many are calling them the next "chart-topping single" production team in music.